Observation - Late flowering Honeysuckle - UK and Ireland. Description: Honeysuckle growing through gorse, flowers and fruits present. Last day of October, so presumably will also be flowering in early November. 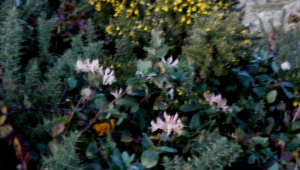 Honeysuckle growing through gorse, flowers and fruits present. Last day of October, so presumably will also be flowering in early November.